The refinery of cooking oil calls for extreme care for the obvious reasons. Cooking oils and vegetable oils originate primarily from seeds of certain plants. What you should have in mind is that these oils, especially vegetable oils is that they are polyunsaturated, implying that they are liquids at room temperatures. That mentioned, it is important to note that cooking oil refining is categorized into three broad ways. These are physical refining, chemical refining and chemical-physical refining. 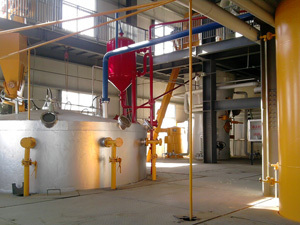 Some extracted cooking oils necessitate refinery before they can be used. This is for the reason that they may contain high levels of Free Fatty Acids- FFAs. Here, the physical refining is employed to get rid of gums in the oil by use of special mechanisms of degumming. Steaming method is used to remove FFA. Generally, this refining includes distilling of more FFA, no discharge of wastewater, high rates of refining and minimal loss of oil. It is best for low-gum content and high-acid value oils. Chemical refining is the other most used technique. Here, the FFA contained in the oils is neutralized using certain alkalis. The end products are soaps and gums that are actually centrifuges. This way is different from the physical refining because it uses less bleaching and its finished oils are of better quality. 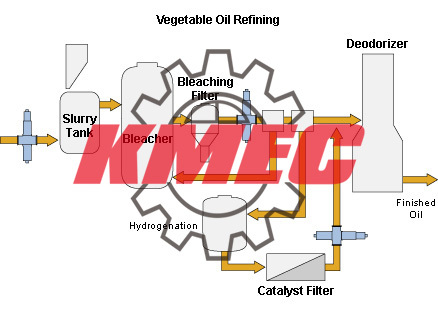 The bleaching process is used in all ways of cooking oil refining. 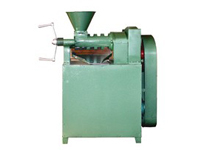 This process involves the addition of bleaching earth into the degummed oils. During this process, the oils are mixed continuously with the bleaching earth in the bleacher. This ensures that the bleaching earth absorbs the oxidizing materials, colors, odors and other impurities, before progressing into other sections.